A Sprinkling of Glitter: Heartbroken! I have just a quick post to share tonight & am sending my apologies for leaving my little blog idle this past week. Some of you will already know that my beautiful mum passed away last Thursday at the age of 65, leaving us all very shocked and heartbroken. My mum was my number one fan and kept every handmade item I created for her, even my feeble attempts at card making when I started this hobby we love. 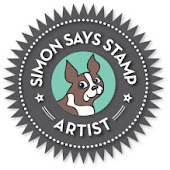 Mum always read my blog & was so proud of me designing for the wonderful Simon Says Stamp. So sorry for your loss Mandy. My thoughts are with you and your family at this very sad and difficult time. 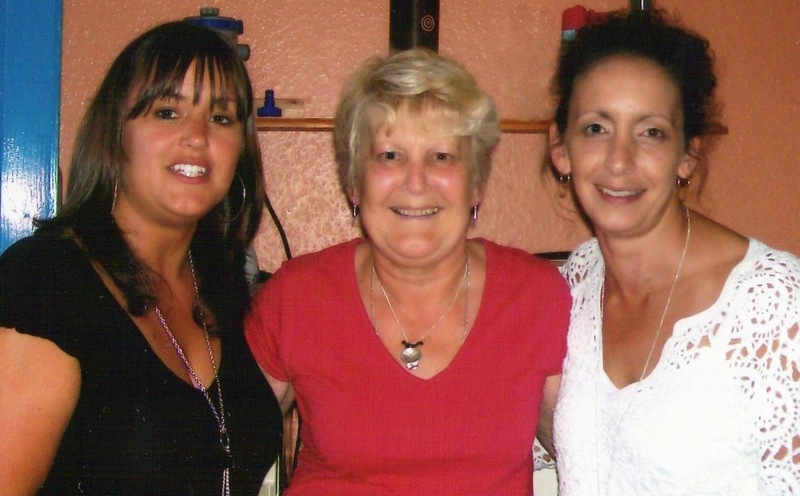 So sorry to hear about your Mum, Mandy - my thoughts are with you and your family. 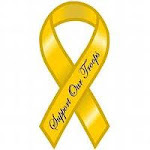 So sorry to hear your sad news So many friends have lost Mum's Dad's and partners this month. Words fail me to express my thoughts. Just know that there is always someone reading your blog and mum will continue from above. So sorry to hear this Mandy.Condolences to you and your family. My heart goes out to you and your family Mandy. Thinking of you at this very sad time. I am sure you are RIGHT Mandy, your Mum would want you to go on, continue to be creative and allow your craft to help you through this difficult time. I have been thinking of you sweet Mandy...I am so sorry! Mandy, so sorry for your loss. My deepest sympathy. My thoughts are with you. Big hugs. I'm so very sorry for your loss Mandy...my heart goes out to you and your family at this sad time..take care. So sorry to read this sad news, Mandy. My deepest sympathies to you and your family. Sending hugs and prayers. Darling girl, your Mum is still and always will be watching over you whilst you create your gorgeous projects. I know you were close and I know it has been a shock and my heart goes out to you and your lovely kids. The hardest days are probably still yet to come but remember, I am always here for you - no matter what!! Lots of love and biggest of hugs my friend. Sorry to hear about your loss. Condolences to you and your family. Hope you find the inner strength to continue to be creative. It will help you in time. I know this from personal experience. So sorry to hear your sad news Mandy, my thoughts are with you and your family. I am so sorry for your loss Mandy! 65 is no age....wish you a lot of strength for the coming weeks! My deepest sympathy. My heart goes out to you, your family and friends who love her. Faithful, prayerful hugs sent. Mandy, I am sending my heartfelt condolences across the pond for the loss of your dear mum. She was so young and I'm sure that she will be missed greatly. I hope that you know that she will always be with you, but for now she will be singing your praises to her new friends in Heaven. I hope that you and your family members are strong for each other during this terrible time. I can't imagine what you must be going through. So very sorry for your loss! My thoughts are with you and yours. I am so sorry about your mom. I am 64 and know that is not old. Mandy, I will be praying that the Holy Spirit gives you comfort and peace. Sending heartfelt condolences! A very special and loving mother for all of you! So sorry for your loss Mandy. Thinking of you at this sad time. So very very sorry for your loss Mandy :( Sending great big hugs! Follow Me Tilda & New Pins Mini Candy!